Chances are if you’ve been to my house for a meal, you’ve eaten this dessert. And in all those times, with all those people, I’ve never met anyone who didn’t love it. Who wouldn’t?! 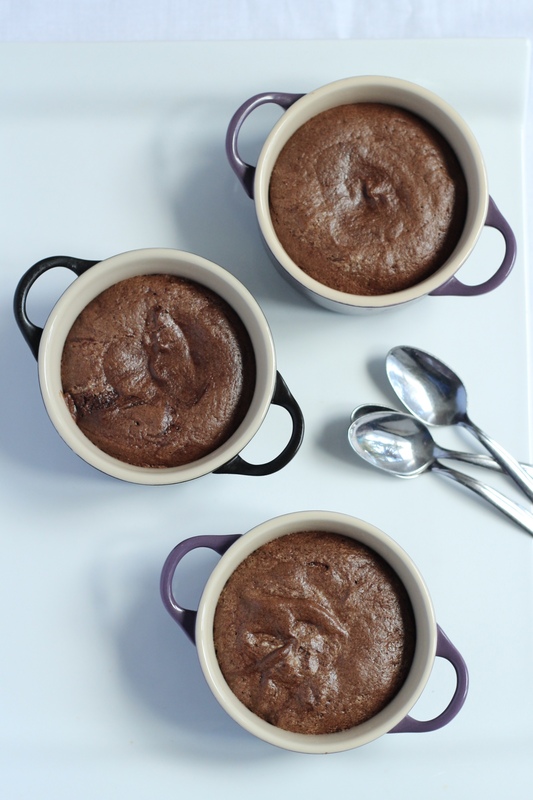 Imagine a small amount of the lightest, most delicate, warm chocolate sponge around the outside, and then in the middle a warm, velvety smooth, rich, liquid chocolate centre. It’s like the centre of a Lindt chocolate, but warm and somehow lighter. Just perfect in my book. 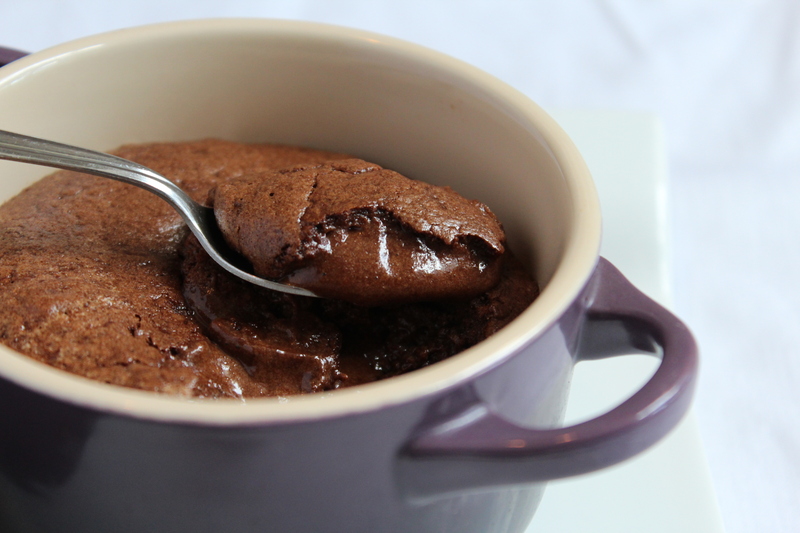 This dessert is part soufflé, part chocolate fondant. 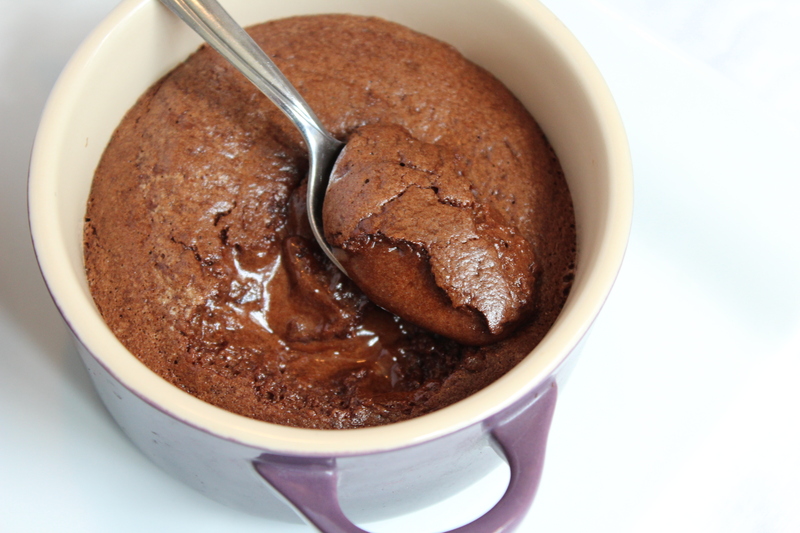 I’ve called it a Cheat’s Chocolate Soufflé as although the ingredients and baking method are right for a soufflé, the end result (what with that gloriously rich chocolate centre oozing away) is more like a fondant. However, unlike a chocolate fondant, this dessert does not require the hair-raising moment of trying to turn it out of its tin in one piece. It’s just the dish, a spoon, and you. So now we’ve established what this dessert is, how can it be ‘easy’?! 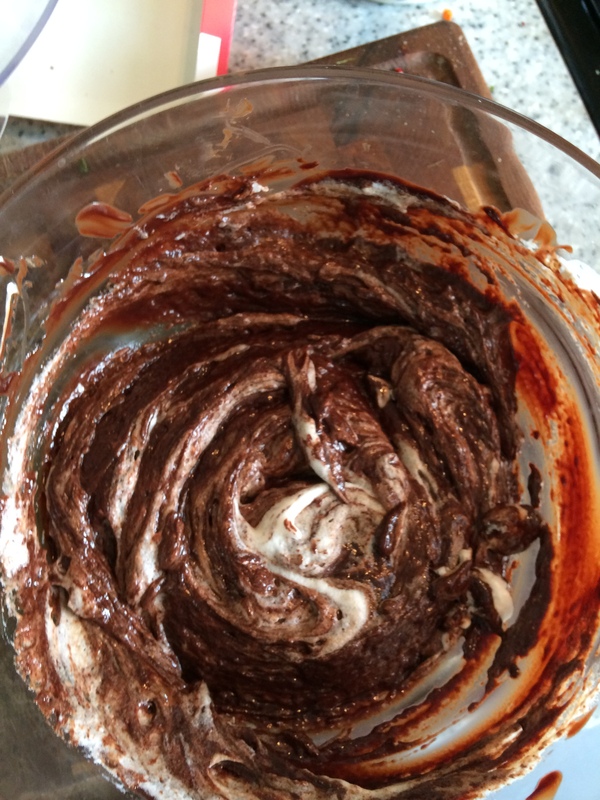 I promise it is… in essence, it is melted chocolate and butter mixed with egg yolks, with fluffy egg white folded in (and trust me, you can knock all the air out of your egg whites and the end result will still be fantastic) – all kid’s play really! The trickiest bit, honestly, is baking them for the first time. This is a real test of how temperature accurate your oven is. Don’t be disappointed if on the first try you’re not left with enough of the liquid centre… next time (and I promise, there will be a next time once you’ve tried it), just reduce your cooking time by 2 minutes, and I promise they’ll be perfect. 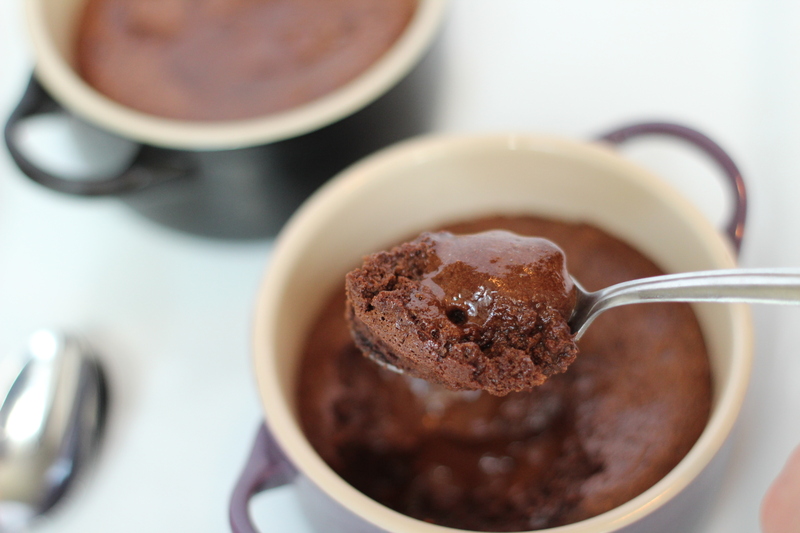 So, if you know a chocolate lover or just need something to hit the spot, give this a go. I promise you won’t be dissapointed! Makes 4 individual desserts (they can keep covered in the fridge for up to 3 days). Takes 20 minutes plus chilling and baking time. 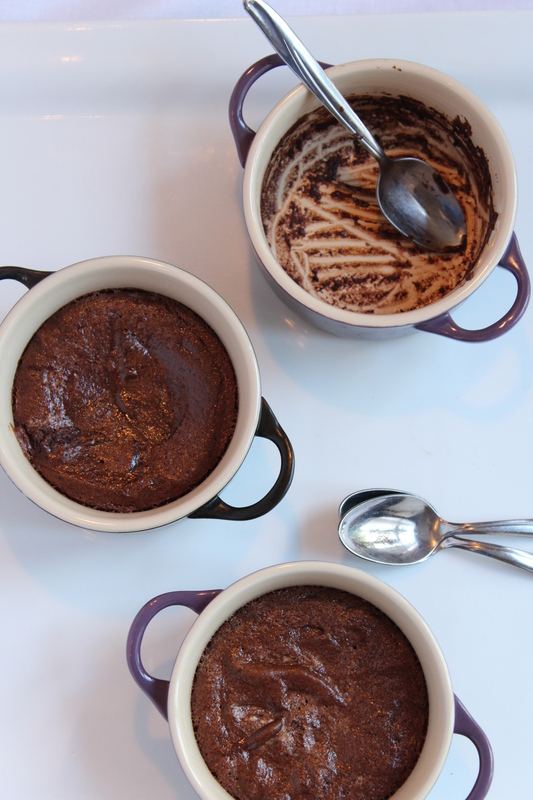 You will need 4 ramekins, small bowls, or mugs that are oven proof. Recipe from: The Cinnamon Club Cookbook by Iqbal Wahhabi & Vivek Singh. Break the chocolate into small pieces. Add the butter and coffee if using, the melt in a bowl over simmering water until smooth. Whisk the egg whites until they form stiff peaks, then gradually add the caster sugar. 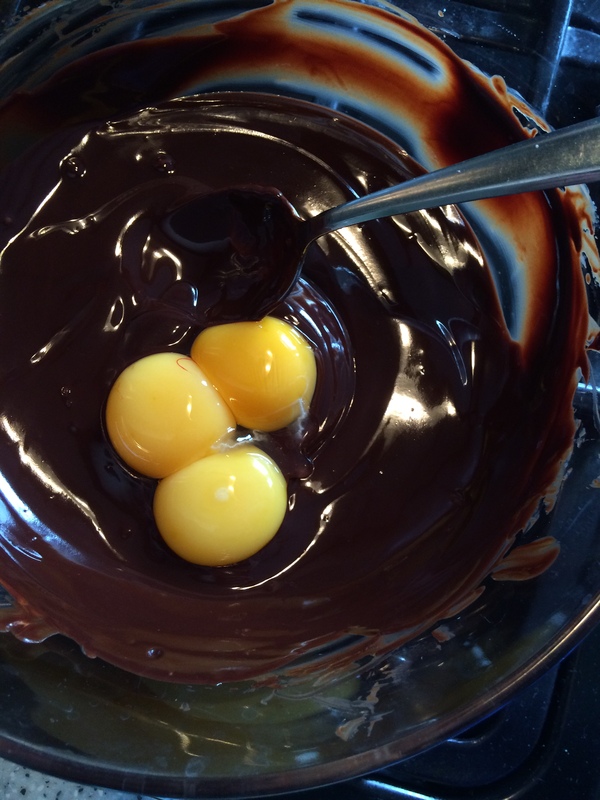 Right before the egg whites are done, add the egg yolks to the melted chocolate and mix well. 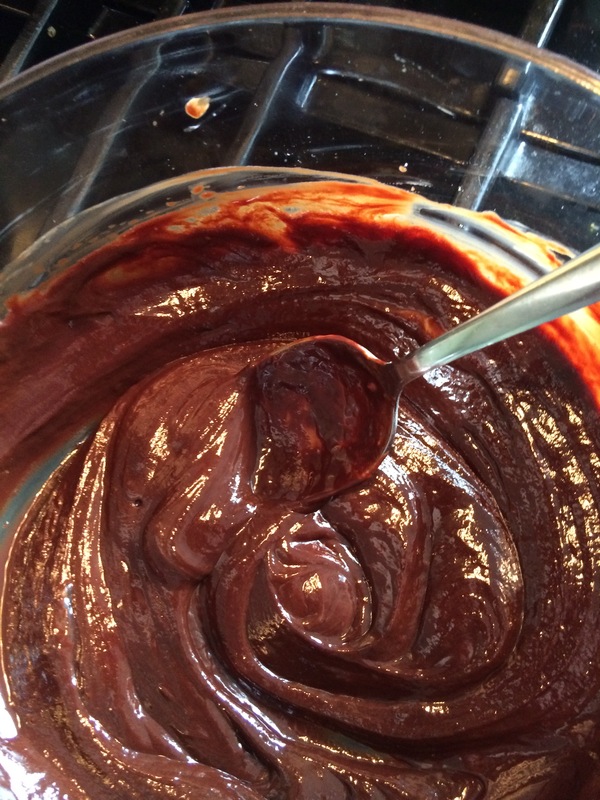 Stop if the mixture is starting to look grainy, but don’t worry if it does – it won’t impact the end result at all. 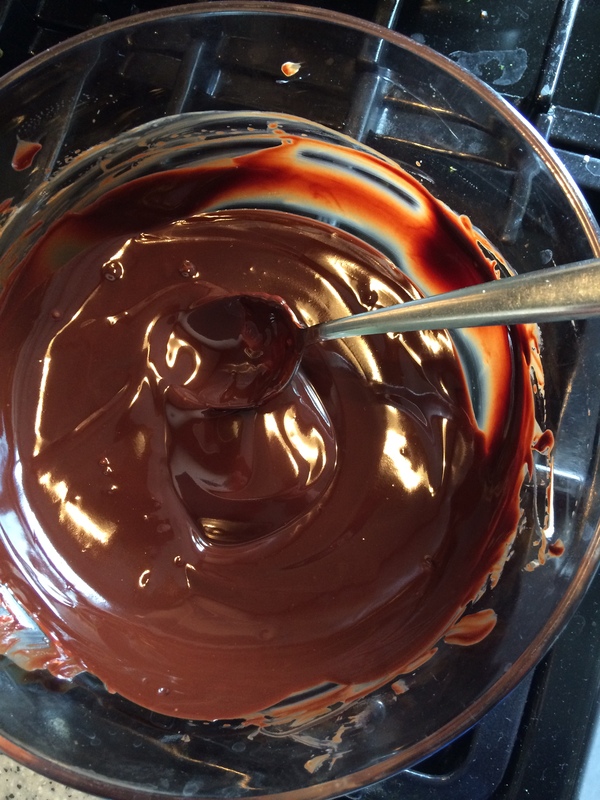 Fold the egg whites into the chocolate mix. 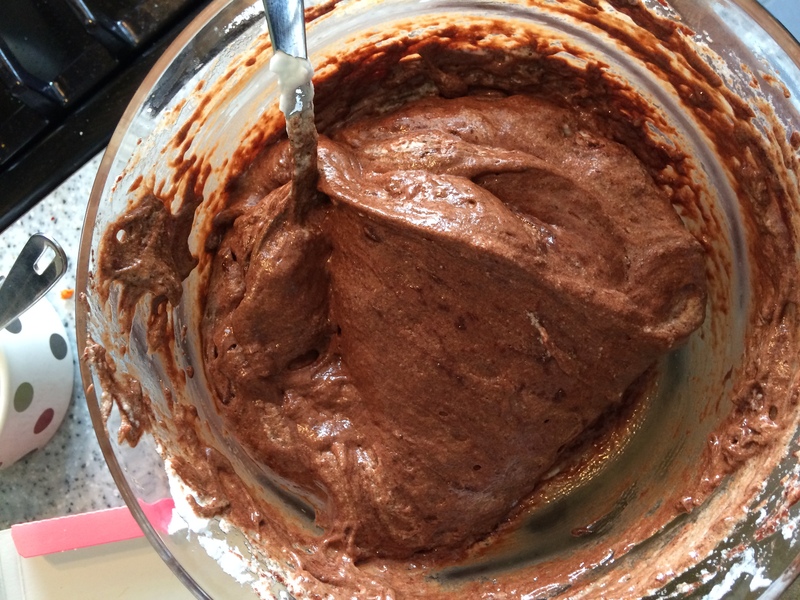 Take 1 large spoonful of the egg whites (about 1/3rd of the total) and mix well into the chocolate mix (tip: this loosens up the chocolate mix so it is easier to fold in the rest of the egg whites without loosing too much air.) then fold the remaining whites in. Split evenly across the 4 ramekins and then chill for at least 1 hour. At this point you could keep them in the fridge, covered with clingfilm, for up to 3 days. Preheat your oven to 180 degrees, and once it has come to temperature, bake for 10 minutes until the soufflé has risen slightly and is beginning to firm up on the sides. It should be just dry to the touch in the centre, and have a good wobble. Serve immediately in the ramekins with the spoon. No accompaniment needed! Thank you Charlotte! Delicious just doesn’t go far enough 🙂 If you try these, please let me know how you get on! Oh these look fab, a real grown up treat, thanks for sharing. Thank you Pinkiebag! And I can honestly say this was one of the easiest posts to write ever, as it is something I so genuinely love. My family have been making these for a long time, and is the recipe I am asked for most frequently. So it seemed almost rude not to share 🙂 If you do try them, please let me know how you get on! This looks so delicious and with hardly any ingredients involved it’d be rude not to try this one at home! Can’t wait to give it a go. Thank you! They really are, have you given them a try? Also thank you for reblogging it too! So am not a baker as such. BUT I totally smashed this recipe! So proud of myself and THANK YOU for a lovely recipe. I am looking forward to eating them tomorrow night. Yum! Thanks Marisa! So pleased you gave it a try 😊 thanks for stopping by and commenting!